Imagine, for a moment, that you could market your products and services to all of your members at once instead of just one? Do you think it would change your brand strategy, communication methods, or even your marketing philosophy? Of course it would, and that’s a key challenge for marketers today. Sweeping changes in technology and society itself have shifted the focus away from mass marketing strategies toward models that recognise the importance of engaging customers as individuals. Although mass marketing still plays a role in the new marketplace, companies that fail to emphasise individual engagement, do so at their own peril. The bottom line is that companies must become adept at reaching their customers on an individual level if they are to have any chance of rising above mediocrity, maximising ROI and achieving their strategic growth objectives. In the past, traditional mass marketing (newspapers and magazines) were the most common method for clubs to communicate messages to their audience. This approach was effective because of the assumption that the information customers received was absolute truth. Customers had no reason to doubt the messages they were receiving and no effective mechanisms for initiating individual dialogues with corporate brands, so they accepted the content marketers fed them. After all, what choice did they have? Changing social attitudes have reinforced the role of the individual. It’s important to dispel the notion that social networking and other technologies are the cause of shifting social attitudes. Instead, they are symptoms of social shifts that have already taken place. The end result is that customers are empowered and fully aware of the influence they wield as a collection of individuals. They understand their options and have higher expectations about the ways they interact with the businesses that are competing for their dollar. Engagement begins with relationship-building initiatives that forge connections between you and your customers. Today’s customers are prepared to exchange personal information with brands if they believe that they will benefit in one way or another. One of the most productive ways businesses can engage customers at the individual level is by initiating dialogues – and we’re not just talking about social media here. These dialogues open clear channels of communication with customers and go a long way towards dispelling the suspicion that continues to plague brand messaging initiatives. Adopting brand hosts (member relationship officers) or empowering brand advocates in customers are just two other examples of how you can create a trust circle. 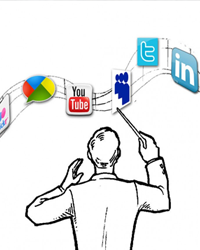 But to be successful, communication has to exist in a multi-channel format. When this is established in multiple spaces (or channels), customers gain the ability to interact with the brand in the way that suits their personal preferences and circumstances. Today’s customer expects companies that initiate dialogue to display a high degree of transparency. Brands that participate in a conversation with their customers need to be clear about who is doing the talking if they want to maintain consumer trust and loyalty. Customers like to know there’s a real human being on the other end of the conversation. So how do you start a dialogue with your customers? This part is simple – get them involved. Develop unique co-creation strategies where you involve customers in the process of developing products and services and implement them. Although the idea of co-creation isn’t necessarily new (e.g. focus groups), the ability to execute change from their feedback is sometimes ignored. Co-creation fosters personal engagement and recruits brand advocates, many of whom use technology to promote the brand among their friends and acquaintances. Mass marketing strategies continue to play a role in the current marketplace, but they can no longer carry your brand’s message by themselves. They need to be integrated into a larger marketing strategy that emphasises the value of personal engagement. I can hear you wondering, is there an easy way for a business to ‘become personal’? It’s like exercise – unfortunately the only real way is to get your hands dirty and dedicate some time to actually being a business worth having a conversation with. Build real relationships and promote real conversations. A personalised approach generates clear lines of communication with your customers. Avoid transferring mass marketing strategies into your social media efforts and other online dialogue initiatives. Instead, find ways to create dialogues based on transparency and co-creation activities. Let your customers get involved and have a voice. Personal engagement is becoming an increasingly sophisticated marketing strategy. CRM integration, email, web and social media marketing can be highly effective tools for individual engagement, and brands tend to experience the highest ROI when they tap into the expertise of qualified, third-party providers. The integration of loyalty systems, not rewards, play a pivotal role in understanding the needs and expectations of customers and gives you the power to start engaging one on one. DWS are highly experienced at infiltrating the loyalty segment and have access to the latest marketing research. If you would like to investigate or refresh your loyalty program please contact Danny Nixon-Smith on danny.ns@dws.net.au.